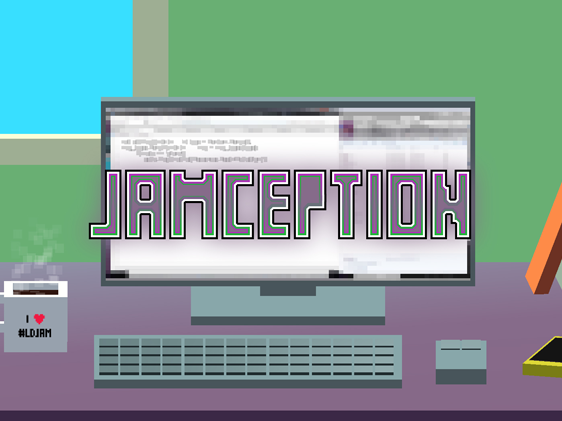 Jamception is a game about making a jam game about making a jam game set entirely in one screen inside of a screen in the game of the game for a game jam. Story: this game is about you! It’s the last day of your favourite game jam and you haven’t finished. What do you do? You code like a maniac that’s what. You can click on the coffee cup to refill it. 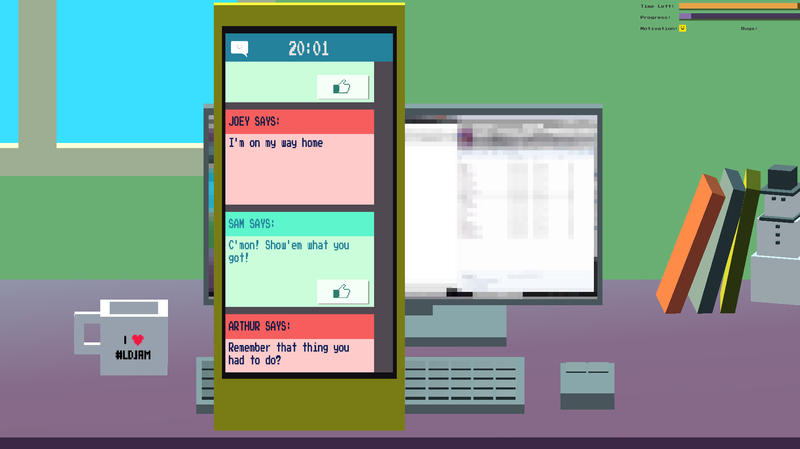 To check your messages click on the phone. You can drag or scroll up and down to see more. 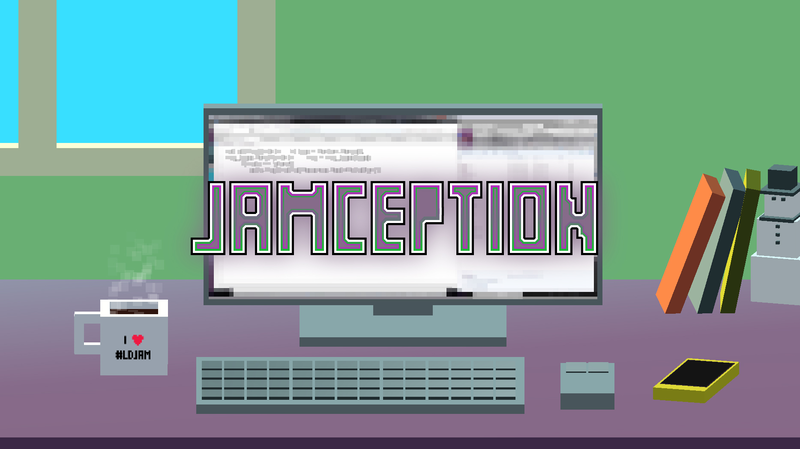 Made in barely 72 hours for Ludum Dare #31 under the theme “Entire game on one screen”.